Welcome to Nebraska Extension's Husker Mobile Beef Lab webpage! 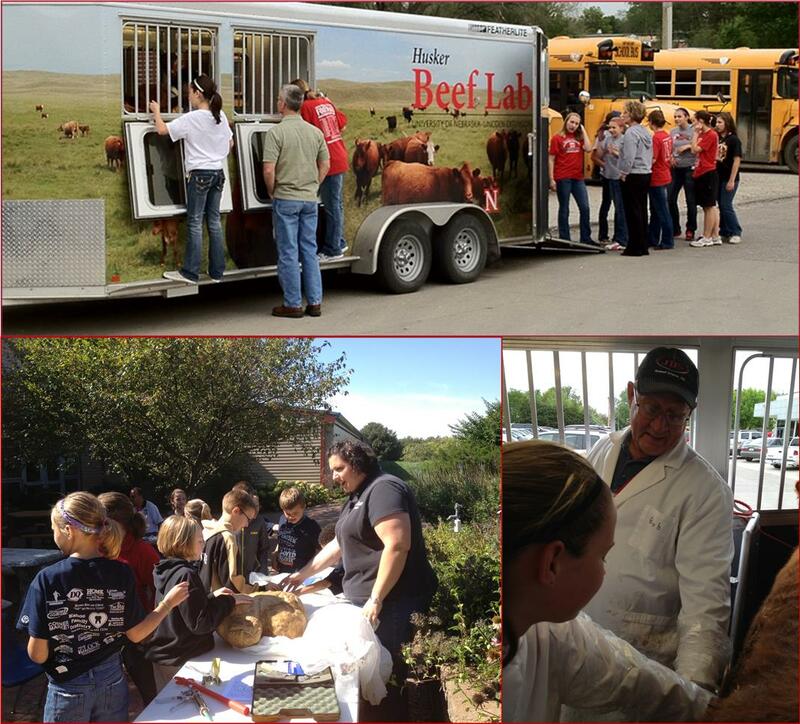 The Husker Beef Lab will provide hands-on experiences for students in middle school and high school. The Beef Lab experience will teach students science principles through a ruminant animal - its complexities and what makes the ruminant truly unique in the environment and ecosystem. The overarching goal of the Beef Lab experience is to teach Nebraskans the value of, and support the production of, high quality, protein beef animals.